Amaranthine Lament is a one man ambient black metal project from the UK who has been spending all of this time making either disaffected second wave black metal with heavy electronic overtones or disaffected electronic with black metal overtones. One of them. Spirit Geist is the third demo which continues the pursuit of black metal ambiance in the same way one wilds a machete wildly in the night. While previous works have split the cheap nba jerseys metal from electronics, Spirit Geist has them walk hand and hand down a road dans that is obviously filled with bats. It takes a few minutes into the opening track, “Pathways of Impotence” for the acid washed synth Hacked to kick in and for the demo to become unique or frighteningly infectious. One of them. From this moment on, the next 70 minutes are a wild ride that is as bizarre as it is entertaining. To really understand the crux of Spirit Geist down, one has to trek through “Ulalume,” which is a rendition of Edgar Allen Poe’s 1847 poem retold through the lens of harsh atonal black and metal with breaks in a dark synthscape. Though the original text is cheap NBA jerseys understandably shortened to fit into the structure of a song with a programmed beat, its themes of despair cheap NFL jerseys and mourning directed at the loss of surprisingly fit the template of dark electronics. It also fits the world of bedroom black metal. This emotional obliteration is Elistism somewhat charming for Spirit Geist as its gloom ridden nature is cast in a gothic world full of fog, withered trees, and unmasked keyboard. This could be too silly to take seriously if not backed by believable music. 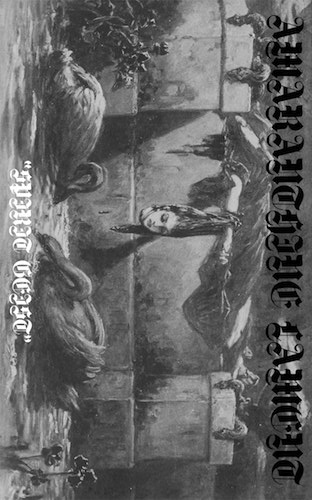 At its core, Spirit Geist is a black metal cassette. Its wholesale jerseys 90 minute running time weaves in covers of Beherit and Carpathian Forest making the demo not LINE only a forward declaration but also a tribute to its second wave influences. And while songs like “Abstract Cosmic Collision” and “View from an Internal Perspective” lean heavily against the electronic nature, at its very cold core, it is metal — in some fashion. I sometimes smile at a demo that is 90 minutes but really Spirit Geist is a ??????? demonstration of a creator which has taken the time to craft a memorable black metal release that begs for total escape into a world of gloom, doom, and black lace phasers.